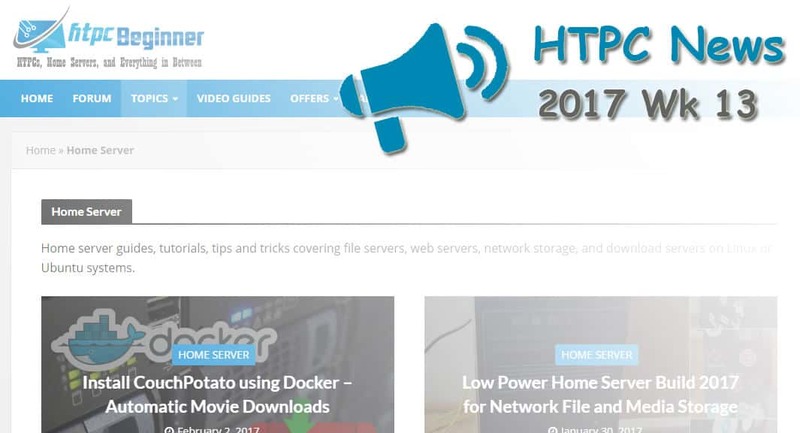 Welcome to the htpcBeginner HTPC News Roundup, Mar. 31, 2017 edition! This week saw Pirate Bay torrents hit their teenage years, 4K PlayStation 4 media player app updates, and Plex for Android updates. Read on for the latest in HTPC news and updates! As Torrent Freak reports, a smattering of the oldest torrents available are turning 13. These include Revolution OS, a documentary on the history of Linux and free software, a DVD rip of School of Rock, and Prince of Persia for Xbox. According to Torrent Freak, commenters mention adding the aforementioned torrents to their torrent servers merely to keep a piece of history alive. 4K is the next wave of video content. Sony released on Mar. 27, 2017 an update to its PS4 media player app allowing 4K video playback. Users can now watch 4K videos from external storage and home servers. However, there's a bit of a catch. At the moment, the PS4 media player app can only play 4K videos encoded in MP4 format. There's no support for other file types such as MKV just yet. Additionally, USB drives which are formatted as extended data storage for the PS4 can't serve as a storage source for videos. Nevertheless, it's a major update for Sony's console. Especially coupled with the PlayStation VR virtual reality headset, this arrives as a revolutionary feature. The PS4 can handle 360 degree 4K video via the PS VR. Oddly, the PS4 Pro while proficient at streaming 4K content from the likes of Netflix, Hulu, and YouTube, lacks a UHD Blu-ray drive. So you're limited to watching 4K video from streaming sources and now through the media player app. There's been a lot of buzz around Kodi and addons allowing access to content illegally. Football (or soccer depending on where you're located) association Premier League has joined the fray. Among the top benefits for cordcutters, many Kodi addons provide streaming sports content. Furthermore, Kodi boasts loads of addons for TV Recently the Premier teamed up with internet service providers (ISPs) to shut down servers providing streams to Premier League game streams illicitly. In the music industry, streaming is dominating downloads. Legal downloads at least. As CNET reports, the music industry trade group announced recently that record label sales declined at a record rate this past year. Physical media also declined, with the notable exception of vinyl. Streaming however rose to 51.4% of the U.S. 2016 music revenue according to data from the RIAA.